조선 성종 1년(1470)에 광평대군의 부인 신씨가 남편의 명복을 빌기 위해 아들 영순군에게 필사하게 하여 목판으로 간행한 책이다. 견성사(見性寺)에서 간행되었으며 책 뒤에 견성사의 승려로 보이는 혜원의 도장이 찍혀 있어 그가 소장했던 것으로 생각된다. 이 책에는 광평대군의 명복을 빌기 위한 것이어서인지 국왕에 대한 축원 없이 집안 사람들의 이름만 나열되어 있어 왕실에서 간행한 다른 책들과는 다른 형식이다. 이 책은 조선 전기 불교를 탄압하는 정책아래서도 왕실의 종친이 주관하여 실시한 수륙제(水陸祭)의 기본서이고, 『수륙무차평등재의촬요』 판본 가운데 가장 오래된 것으로 당시 불교신앙을 알 수 있는 귀중한 자료이다. 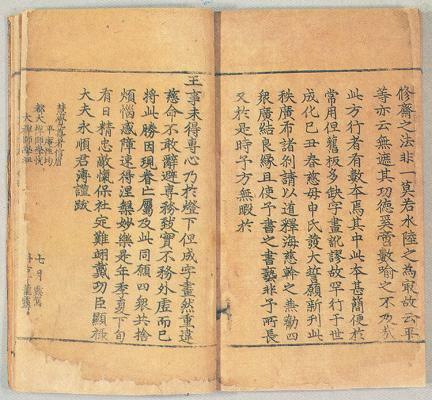 In 1470 (first year of the reign of King Seongjong of the Joseon Dynasty), Lady Sin, wife of Prince Gwangpyeong, had his son Prince Yeongsun transcribe this book to pray for the deceased Prince Gwangpyeong’s soul and published it using woodblocks. 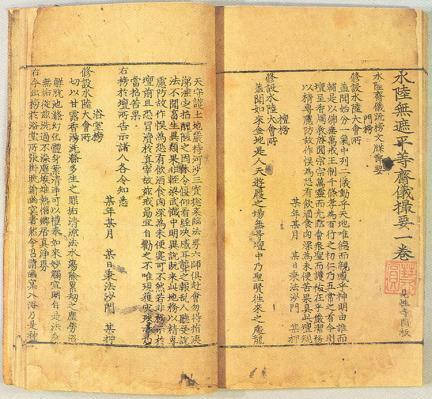 It was printed in Gyeonseongsa Temple and was once owned by Hyewon, a Buddhist monk of Gyeonseongsa, since the book bore his stamp at the end. 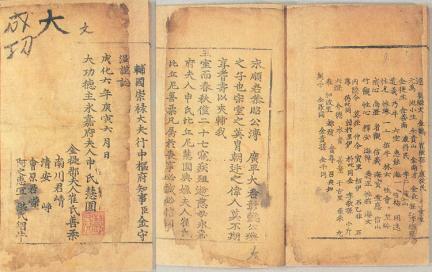 This book displays a different style from the other books published by the royal court, since it includes only a list of the royal family instead of a prayer for the king. This is a fundamental book for the Water and Land Ceremony supervised by the royal family despite the prevailing anti-Buddhism policy and is a historically valuable evidence showing the Buddhism belief at that time.